Fluorescent tube waste has to be handled and disposed of in a prescribed manner and by a specialist company. This is where we can help. In line with our environmental policy and the various environmental services we offer, we offer a very convenient method of disposing of fluorescent tubes for our customers, which wont cost the earth. 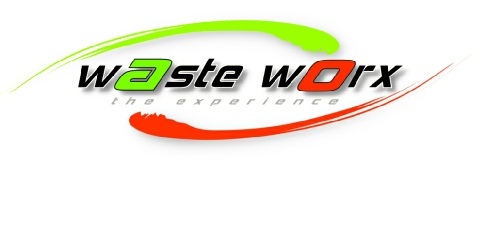 Waste Worx will supply you with an appropriate container for the storage of your spent fluorescent lamps and visit your premises on a weekly, fortnightly or monthly basis. 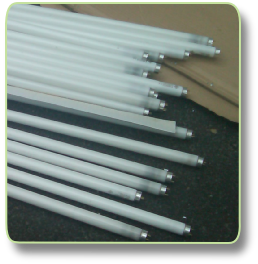 The fluorescent lamps are then processed and the hazardous effect neautralised and when complete, the fluorescent tubes waste is then recycled, ensuring that no harm or danger to the environment occurs, in line with South African laws and regulations. beyond the safe drinking standard in South Africa. Fluorescent lamps, which contain highly toxic mercury, is classified as hazardous waste and poses a large threat to the environment if not handled & disposed of correctly. Legislation has made it illegal to just dump old, worn out fluorescent tubes into the normal waste system. It can cause sever damage to the environment , as well as the potential risk of being fined, which will ultimately affect your business and its bottom line!